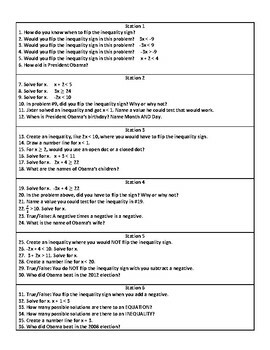 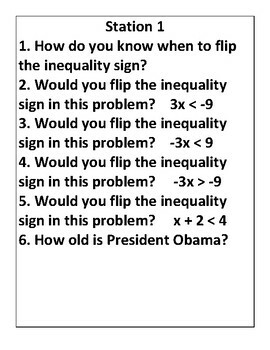 This resource provides 6 fun stations for kids to engage in practicing solving inequalities. 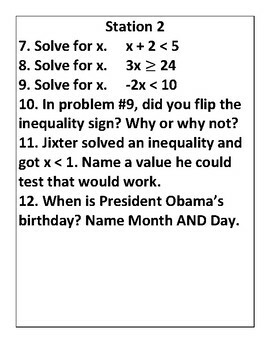 There are scaffolded questions, as well as one random trivia question per station to punctuate the math. 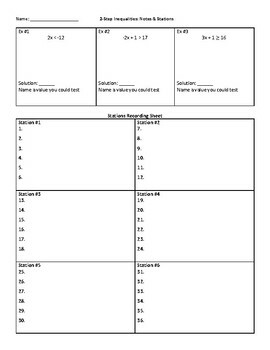 There are notes to be taken beforehand, but if this is not desired the notes can be filled in as "hints" as students rotate through the stations.